New 4-inch handset from Apple to be called the iPhone SE? As rumors starting circulating that Apple was going to build a 4-inch Apple iPhone, a screen-size not seen on an Apple handset since the Apple iPhone 5s and Apple iPhone 5c, there was talk that the phone would be called the Apple iPhone 6c. When the world's largest carrier, China Mobile, had a Road Map leaked in December, the 4-inch iPhone was listed for an April release as the Apple iPhone 7c. The next rumored name for the model was the Apple iPhone 5se. That moniker appeared to be the final rumored title for the new 4-inch iPhone. Talk of a media event to be held on March 15th started to pick up steam. Expected to be unveiled on that date besides the 4-inch iPhone, is a 9.7-inch variant of the Apple iPad Pro and a refresh version of the Apple Watch. Today, a new report reveals that the 4-inch Apple iPhone will be known as the iPhone SE. If true, this will be the first time that Apple's smartphone won't contain a number in its name since the OG Apple iPhone from back in 2007. While the specs of the device are said to be very much similar to the specs on the Apple iPhone 6s (A9 SoC with the M9 co-processor, Touch ID, NFC, Apple Pay, Live Photos, 16GB/64GB variants, and more), the design of the phone is said to resemble the iPhone 5s. But even that is far from being a slam dunk. A leaked sketch allegedly showing the 4-inch iPhone reveals that it is closer to the Apple iPhone 6 in looks than the iPhone 5s. While we should learn a lot about the Apple iPhone SE in the weeks ahead, as we get closer to the 15th of March we expect to see a exponential rise in rumors and leaks related to this phone. 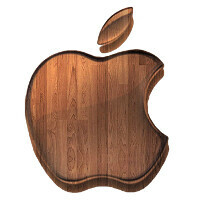 Apple has a large number of potential buyers on the sidelines. These consumers do not feel comfortable with a 4.7-inch screen in their hands, but they also want to have an iPhone as powerful and full of features as the iPhone 6s. These are the people that the iPhone SE will be marketed to. Am I the only one that noticed PA used a photo of the iPhone 5 and said it was a 5S in the article? Nope, noticed that too. One would think a tech news website should know the difference. Since they do not have the actual images. Then they are using the iPhone 5s. 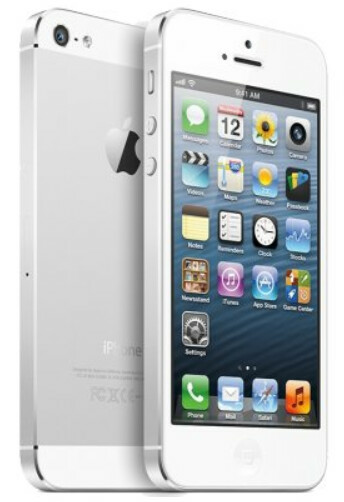 However everyone who has seen it, said that it looks very close to the iPhone 5s. In any case fyah_king has a good point. Also if Apple prices it roughly the same, then it will be the (S)ame (E)xtortions when it comes to pricing. I had to go back and look again. You're right. Jeesh...a report could come out that it's called 'iPhone Penis6c' and Phonearena would report on it. Never seen so much concern over the name of a device before. A big piece of iPhone users are on the 4inch model so.... "Sales Edition" "Sells Edition" "Small Edition" "Same Edition"
Sheep Edition? Excuse me, I'm just walking around. Don't mind my opinions just carry on, thank you. See, he said a little joke and you just had to take it there. When you grow up, you will be that guy that makes everyone uncomfortable at the bar. Owning an iPhone makes you a king among stupid people. Why are you calling your self stupid then? I like how all android fans post on Apple links to talk junk while the doctors and lawyers of the world are out doing their thing on their iphone!!!! Arguable. Visually maybe but not down to the same thickness and the same batt capacity. Hell at this point in time I'm willing to bet someone else' farm that there's a ready 6S percentile wanting to drop theirs for something TWICE the 5S thickness no problem so long as it comes also with 2GB RAM. Who gives a squat about how it's called, the only thing that matters it will be best compact phone on market. Sammy, bring the S7 mini! i like the iphone 5e better. I loved the ip5s. The best design iPhone, aswell as perfect size. Seems that flagship sales not that great this days even S7 and S7 edge price cheaper than S6, note 5, S6 edge and S6 edge plus when released. Let's go ahead and get this little guy out. It's gonna be a big seller for Apple. There's still quite a market for a 4 incher. I see tons of 4 inch phones out in the wild.